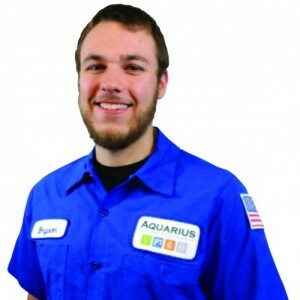 Aquarius is very receptive to our needs and Jason is knowledgeable, honest GREAT guy! We have been working with Aquarius for several years and have been extremely pleased with their service EVERY time! We have the worst water in this location. now it is wonderful. Pure drinking water with the use of the special tank. The people coming here are politeand very efficent. Josh did an excellent job winterizing our Kinetico system. Highly recommend him. Our sump pump quit working. We called Aquarius and a technician was at our home within 3 hours. He installed our sump pump, and at our request, they installed a new faucet I had recently purchased. The technician was very professional and friendly. We have relied on Aquarius Home Services for 3 years now and will continue to use them for our home repair needs. We recommend Aquarius Home Services for anyone who wants professionalism, a fair price and good service. Everything went fine. That is our last service with you as we will be moving in November. I'm just a very happy customer. John really knows his job. Great customer service. It had been suggested to us that it was time to retire our old furnace due to possible safety concerns. We struggled trying to find a dealer/installer until we spoke with our neighbor, who suggested Kath/Aquarius. We couldn't have been more pleased with the installation of our new Carrier furnace and A/C units. Everything went smoothly and professionally. It was a great team that showed us our options, did the installation and answered every question we had. Thanks to you kind folks, all around! Aquarius Heating/Air Conditioning, recenly named "Kath Heating and Air Conditioning isn't listed as an available option. Best Service EVER! Aquarius Heating/Air Conditioning, recenly named "Kath Heating and Air Conditioning isn't listed as an available option. I have had work done by Aquarius Home Services twice. John Warnke was the technician both times. He is the a total professional; punctual, knowledgeable and quick. I would recommend Aquarius and John without reservation. Eric was very polite, efficient and new what he was doing. Very professional. Respected my home. Cleaned up installation site. Customer service is very good. Our water softening system had a slight problem and the service agent worked on finding a solution, and the problem was corrected. I admired his determination. He even offered an apology for the length of time needed to resolve the problem. That's rare these in these days. Trevor Swanson was very efficient and helpful as he did the service for the K2+Club. Thanks. We are brand new customers We were impressed that Wade and John were early. They installed our system, explained everything thoroughly, and told us of our options of service. We were impressed with your salesman to begin with, and then the follow up calls for our appt. So far so good. my wife went to the hardware store to get plumbers tape for the installer. which was ridiculous. she was also told that "she" needed to cut a portion of the cabinet and then he would install the drinking water system apparently he thought it didn't fit. after assurances from the manager he reluctantly installed it anyway. she also had to show him a couple times where to drill the hole in the granite countertop. he kept wanting to drill it in a different spot. I'm not too confident that the water filtration system or the water softener was installed properly. very unprofessional and my wife didn't feel that he cared about what he was doing. Jeremy did a great job and Aron response to everything. Todd on the way install, he did great. Over all your companies people did very well.... Thanks again! 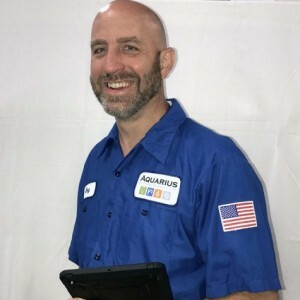 Everyone at Aquarius is extremely nice, great to work with, Tim Hall explained everything well, Mike L did a nice job installing everything, being it was a challenge in my basement for room. Erin R was always pleasant when speaking with her on the phone. I will recommend to my family and friends. My experience with Aquarius was very positive. Everyone I dealt with was professional and friendly, and I highly recommend the company. The staff at Aquarius Water was a pleasure to deal with. The installers were very careful and professional. 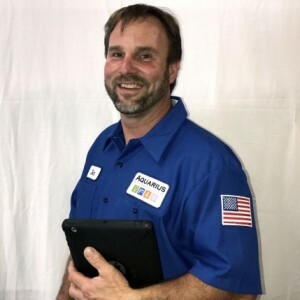 My first scheduled post-install check-up was performed by Shawn R., who was not only respectful and pleasant, but very knowledgeable and helpful. I highly recommend Aquarius Water Conditioning. We love our Kinetico water system. We are so thankful for Wade our Service Pro: We were having a problem with our filter & he made a special trip to see what the problem was. Our biggest problem was our well. 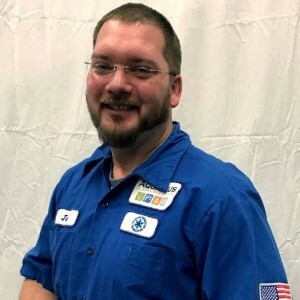 He made another service call on Tues. & we decided we needed a better filter system which he installed that same day & also replaced a part on the softener which was bad because of our bad water.Wade is fast & efficient & knows what has to be done. We are now working on the well before it ruins our system. Wade is GREAT! Mike had excellent communication skills and seemed very knowledgable and professional. 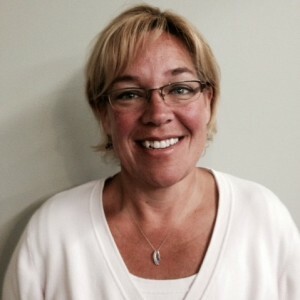 Shawn was efficient, knowledgable, friendly and professional. We found Shawn to be extremely knowledgeable. He explained everything he did and why. Shawn shows a passion for his work, has a great attitude and most of all is accurate and detailed. Shawn was our technician. 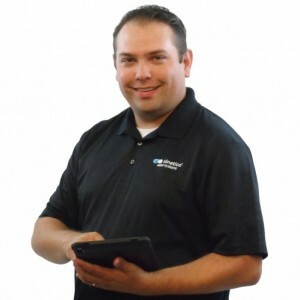 Shawn is detailed, extremely knowledgeable, accurate and thorough. Shawn answered every question we had, is courteous and respectful. I had been asking for a rustbuster type salt and every time I did the answer was no. Shawn resolved that question for us and we are thrilled. If you need a technician ask for Shawn.